Last Wednesday I shot these photos myself, yes by myself. For my birthday K got me this tripod and this remote for our camera so that I could take photos for Instagram on days that I am off but he isn't. 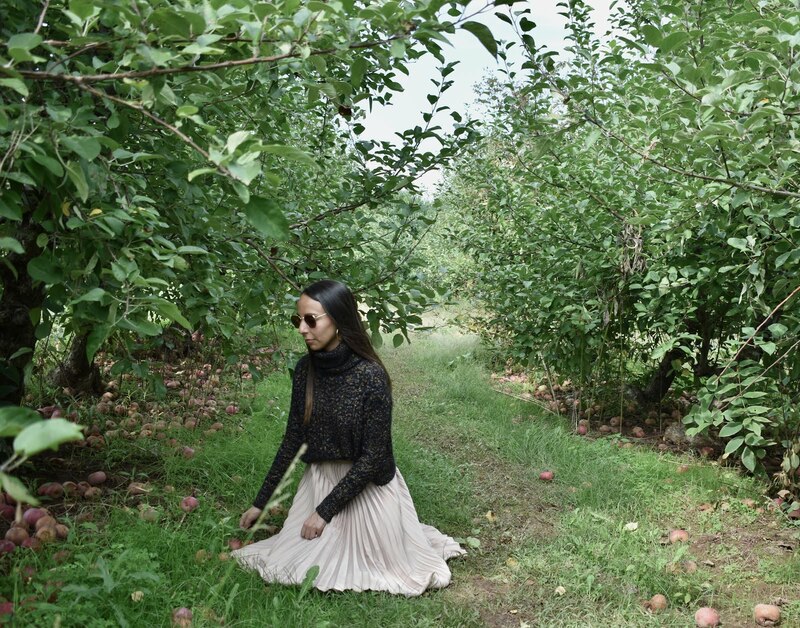 I headed to Tabora Farms knowing the cute backdrop of the apple orchard would be an easy, pretty start for my first time shooting my own photos. Originally I thought I would only use them for Instagram, but I liked the photos so much that I figured why not share them with you here. 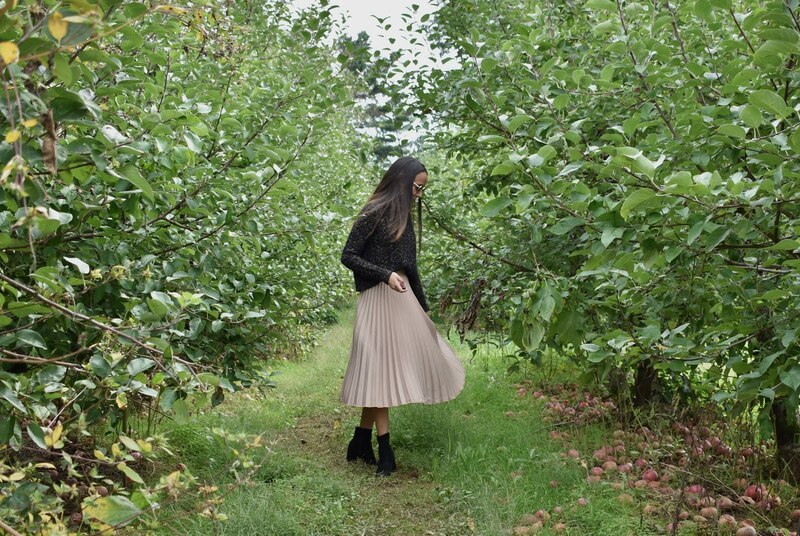 This might not be your typical apple picking outfit, but it just felt right to me. K bought me this chunky knit in Paris and I just can not stop wearing it. He bought it at Zara inside Galerie Lafayette, which is like an American department store on crack. It's huge, 8 floors high, taking up 3 maybe 4 city blocks. The men's and women's departments are in completely separate buildings. When we were there it was packed to the gills and I was happy to find Zara because I haven't shopped in a Zara store in years. Zara is one of those stores I know I would shop more if there was one near by. This knit is incredibly soft and a little different with it's hints of yellow, blue and pink. 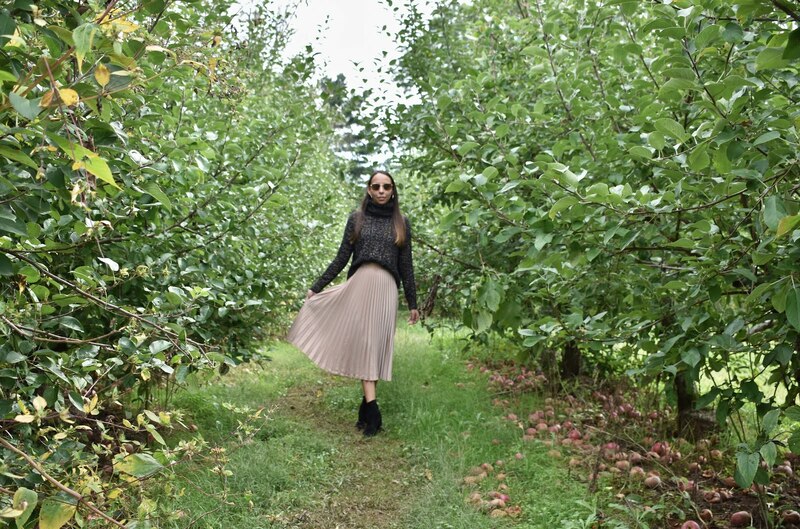 Pairing chunky knits and romantic midi skirts has been a huge trend this fall and I must say, it's a trend I am loving.